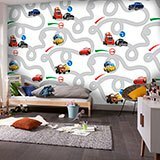 Wall mural Circuit Cars, Disney. 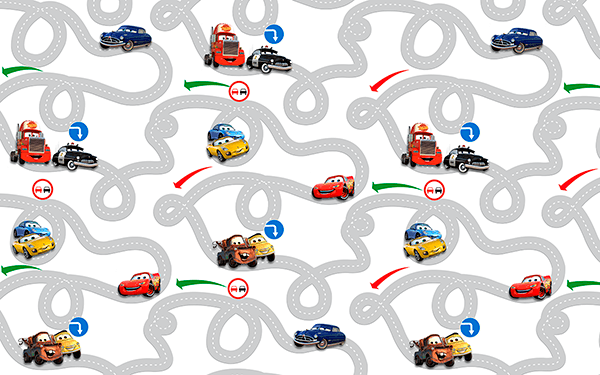 Funny mural of the famous movie Cars, Disney, is a circuit through which pass the main characters. You can not miss Lightning Mc Queen, Tow, Doc Hudson, Cruz Ramirez, Sally, Mack, Luigi and the Sheriff. Ideal for the youngest of the house. Wall mural Circuit Cars, Disney. 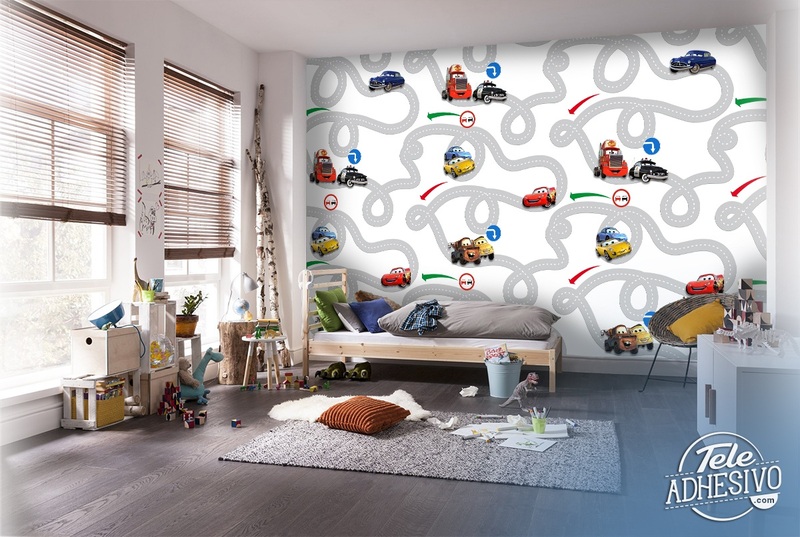 Funny mural of the famous movie Cars, Disney, is a circuit through which pass the main characters.